Sukuk is an Islamic financial certificate that provides an investor with ownership in an underlying asset. Sukuk were broadly used by Muslims in the middle ages as papers representing financial obligations originating from trade and other commercial activities. However, the present structure of Sukuk are different from the Sukuk originally used and are akin to the conventional concept of securitization, a process in which a special purpose vehicle (SPV) is setup to acquire assets and to issue financial claims on the assets, the ownership of the underlying assets is then transferred to a large number of investors through certificates representing proportionate value of the relevant assets. The AAOIFI standard indicates that the underlying business contract or arrangement for Sukuk must be consistent with Shari’ah. As an asset-backed security with a stable income, Sukuk may be seen as an Islamic equivalent of bond. However, fixed income interest bearing bonds are not permissible in Islam, hence Sukuk should comply with investment principles within the Islamic law, which prohibits the charging, or paying of interest. The main condition for issuance of Sukuk is the existence of assets on the balance sheet of the issuing entity that wants to mobilise its financial resources (Treasury and Capital Market Operations; IIBI; 2009). The issuer of a Sukuk sells an investor the certificate, who then rents it back to the issuer for a predetermined rental fee. The issuer also makes a contractual promise to buy back the bonds at a future date at par value. The claim embodied in Sukuk is not simply a claim to cash flow but an ownership claim. A Sukuk basically represents either a proportional or an undivided interest in an asset or pool of assets. The degree of asset ownership rights subsequent to ownership interest carries the right to a proportionate share of cash flow or other benefits and risks of ownership. Sukuk may have similar characteristics to conventional asset-backed bonds but are structured in accordance with Shari’ah and may be traded in the market. In fact, in conventional bonds the issuer is contractually obliged to pay regular interest to bond holders on specific dates; the amount of interest is determined as a fixed or a floating percentage of the capital, and bond issuer guarantee the return of principal when redeemed at maturity, regardless of whether the enterprise was profitable or not; whereas Sukuk are basically investment certificates consisting of ownership claims in a pool of assets where holders are entitled to share in the revenues generated by the Sukuk assets and share in the proceeds of the realization of the Sukuk assets. Expected returns on Sukuk are tied to the returns earned through the underlying assets. Another distinguishing feature of a Sukuk is that in instances where the certificate represents a debt to the holder, the certificate will not be tradable on the secondary market and instead is held until maturity or sold at par. In addition, Sukuk should not simply be regarded as a substitute or an imitation for conventional interest-based securities, but rather as innovative types of assets that comply with the Shari’ah. 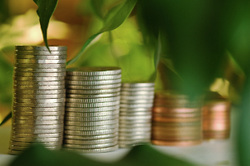 Sukuk should be considered as a new asset class with a relatively attractive pricing. Income from securities must be related to the purpose for which the funding is used, and not simply comprise income that may be attributed to any form of interest; and securities should be backed by real underlying assets, rather than being simply paper derivatives. The accountabilities of the respective parties involved in Sukuk transactions should be defined in a transparent manner in the contract. Sukuk should be a means for the equitable distribution of wealth by allowing all investors to benefit from the true profits resulting from the enterprise in equal shares.